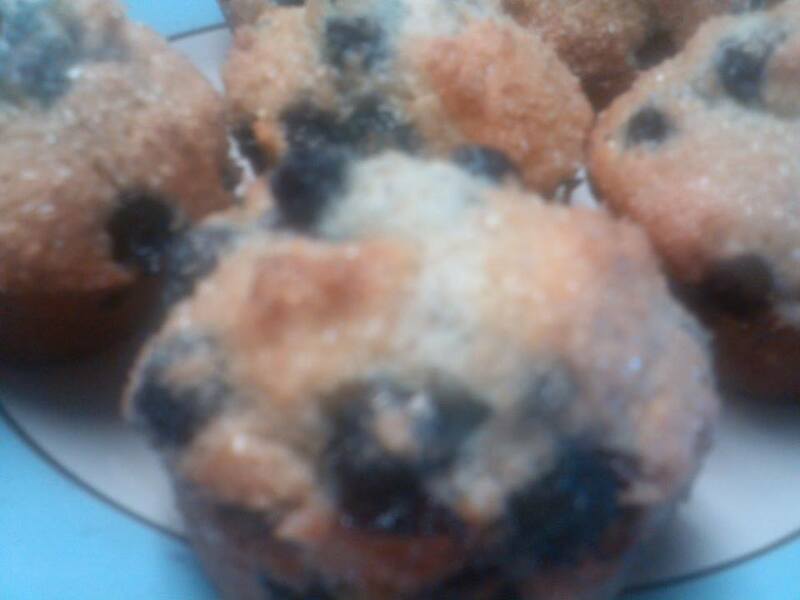 Enjoy this easy to make blueberry streusel muffin for fresh bakeshop style muffins full of fresh blueberries. I used egg substitute and lower fat margarine instead of the eggs and oil. 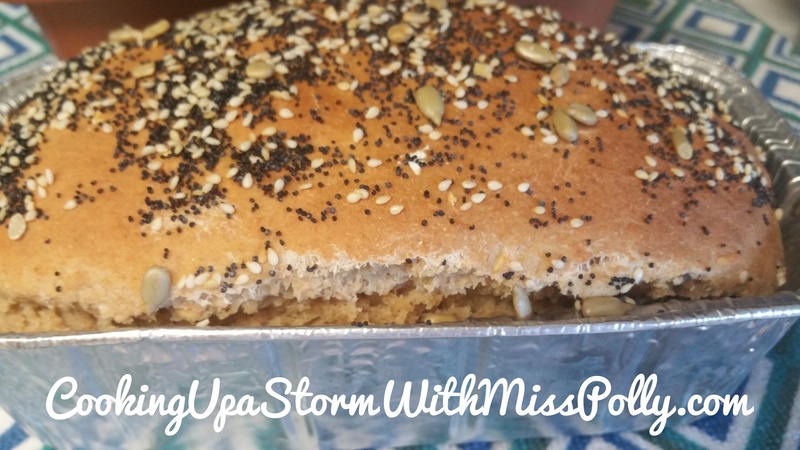 My version has lower cholesterol and fat count because of it, but still moist and delicious. 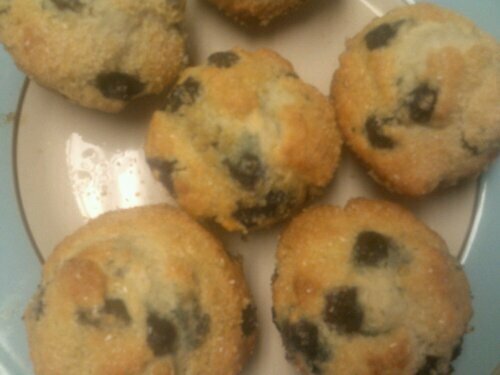 Read More "Simple Mornings Blueberry Muffin Mix by Duncan Hines"
Fall or winter is never complete with making the popular “Pumpkin Glazed Muffins”. Enjoy these wonderful pumpkin muffins any time of the year! 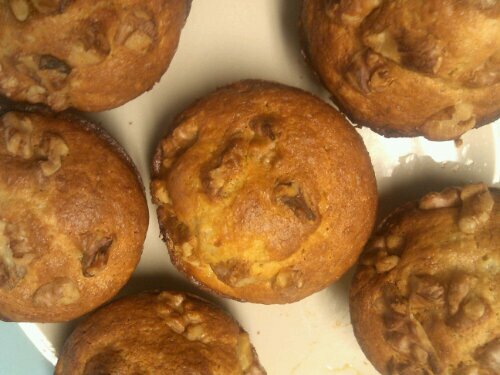 These muffins are delicious and moist and fresh for at least 3 to 5 days. Preheat oven to 350 degree F. position the oven rack in the center of the oven. Place muffin liners in muffin tin. Whisk together pumpkin, oil, eggs, cinnamon, sugar, baking soda, and salt in a large bowl until smooth, then whisk in flour mixture until just combined. Divide batter among 12 muffin cups (each should be about 3/4 full), then sprinkle tops with cinnamon-sugar mixture. Bake until puffed and golden brown and a wooden pick or skewer inserted into center of a muffin comes out clean, 25 to 30 minutes. Cool in muffin pan on a rack 5 minutes, and then transfer the muffins to a rack to cool. Glaze: In a small bowl, combine sugar, and cinnamon and water. Mix until combined and set aside while you prepare the muffin batter. Cool in pan on a rack 5 minutes, and then transfer muffins from pan to rack to cool. Drizzle the glaze after the muffins are cool. Cooks Note: For variation you can add raisins, chopped walnuts or even coconuts to the pumpkin batter. If you are like me, you probably don’t ever have the luxury to do one thing at a time. My mom used Jiffy Corn Bread Mix and their Jiffy Brownie mixes all through when I was growing up. When I was a kid they went for 33 cents a piece, now for this I paid 75 cents. That was 40 years ago though. If you would like something homemade for your family and are on a tight budget, which everyone I know is, go down the baked isle and look at Jiffy. Now in terms of their Jiffy Baking Mix, it is a great product but I choose Bisquick’s Heart Healthy Baking Mix, as they use no shortening but Canola oil. In the small jIffy mixes the shortening is hydrogenated lard and shortening. In the south they cook and bake with lard extensively because of the light flaky texture it gives to pie crusts and biscuits. For the small amount that’s in the mix, I am OK with it. If you are a vegetarian or vegan, you won’t want to make this recipe. I have other Vegan friendly and Vegetarian recipes on Cooking Up a Storm All Over the World! It is under maintenance now but should be up and running soon. 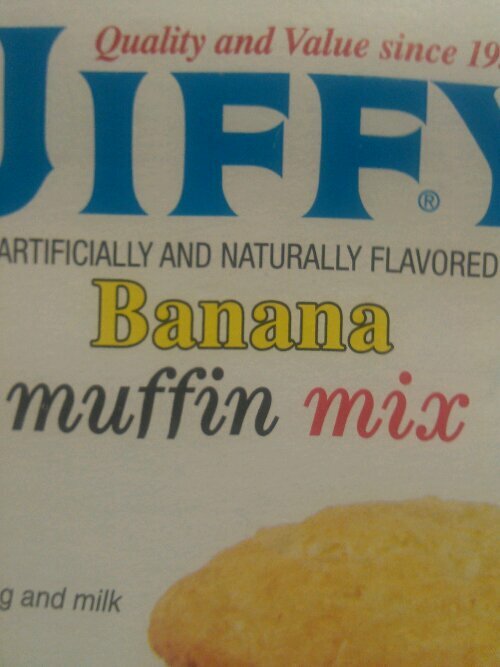 One package Jiffy Banana Muffin Mix or Choclate Muffin Mix. One large ripe banana cut up for the banana muffins. 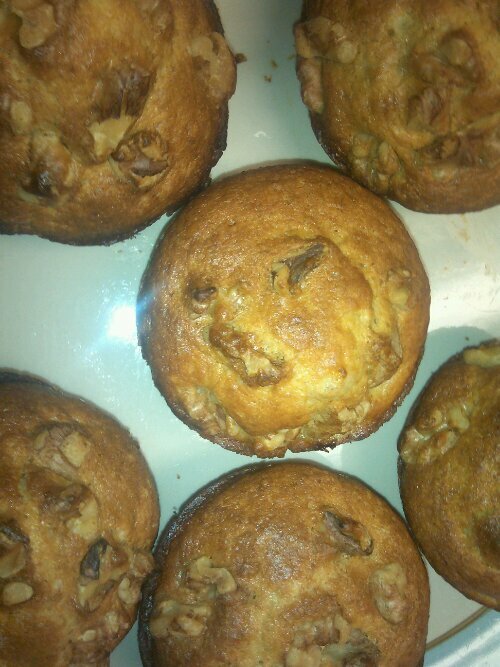 Omit banana for Chocolate Cordia Muffins and instead put about one fourth cup mini chocolate chips. This is what I used to fill the Chocolate Muffins. I spooned some of the Chocolate Muffin Batter on the bottom of a nicely greased muffin pan. Makes 6 muffins each recipe. 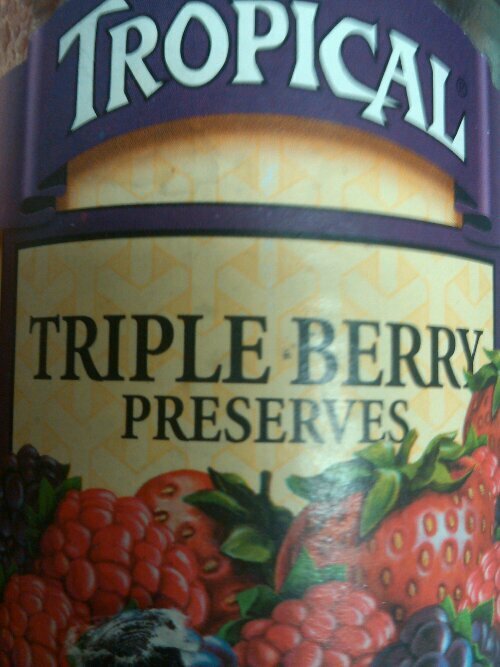 Then spoon one tablespoon triple berry preserves or cherry preserved on the batter. Then top with the rest of the Chocolate Muffin Batter. Bake for about 13 minutes at 400 degrees. Mix all ingredients in a medium size bowl. 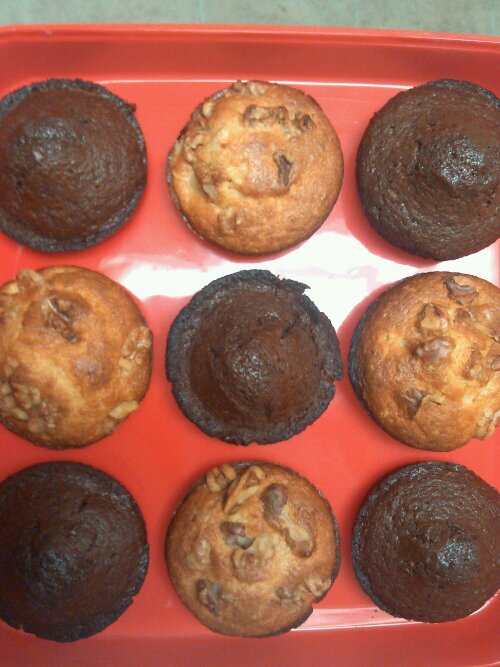 Grease a 6 muffin capacity muffin pan and bake the 6 muffins for about 13 to 15 minutes. Cool and use a butter knife to loosen the edges of the muffins in the pan. Enjoy coming up with flavors of your own and post them here when you think em’ up!